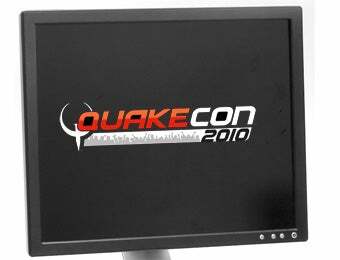 Bummed that you can't make it to Dallas this weekend to hang with Kotaku at QuakeCon 2010? Quake Live TV will be bringing you live coverage of all the major tournaments, so all you'll need is a cardboard Totilo cutout. From the Intel-sponsored Quake Live Masters Championship to the smallest bring your own computer (BYOC) events. OF course the Intel-sponsored Quake Live Masters will get a little more attention, with commentary by world-renowned eSports commentators James "2GD" Harding and Joe "Joe" Miller, but the rest of the events will have their own brand of color courtesy of Quake Live TV commentators Steve "GreasedScotsman" Huff and Alex "Jehar" Popa. Tune in to QuakeLive.com for the Quake Live Masters, and visit QuakeLive.tv for everything else. And of course, we'll have Stephen Totilo at QuakeCon 2010 as well, armed with his newfound knowledge of the game Doom. Keep an eye out for our full coverage of the show.